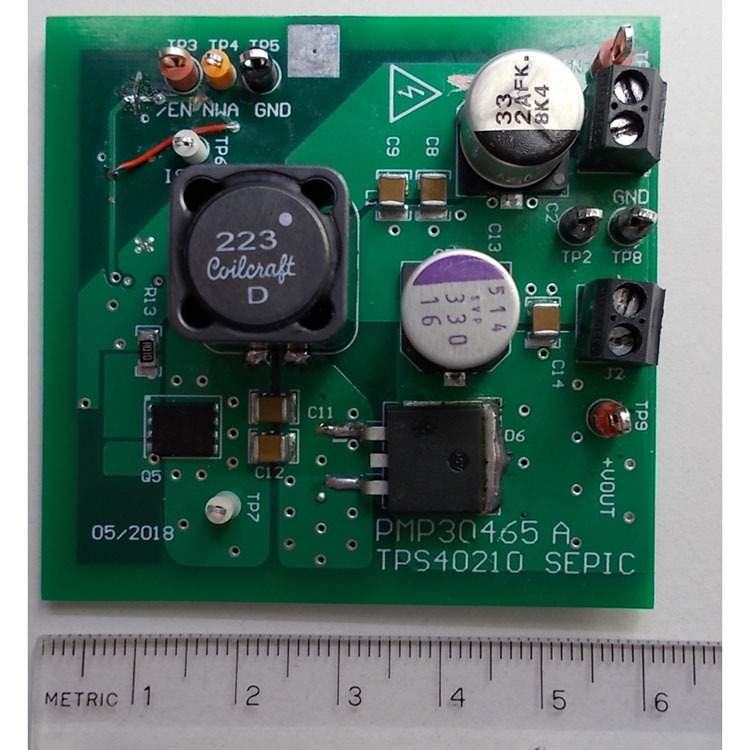 This reference design is a wide input voltage range SEPIC converter delivering up to 30-W continuous output power using a cost-effective: discrete startup circuitry that allows it to be supplied up to a 80-V input. Another discrete UVLO circuitry prevents from large input currents at low input voltage: so the power supply is able to handle an input range of 1:8. The internal driver of the controller is boosted by a small external push- pull stage using bipolar transistors. This allows it to be used with a coupled inductor from stock results in less amount and stress for the flying capacitors. Furthermore: there is no need for additional damping RC network.